I get OVER my big coats after a while (usually by mid January). I prefer to layer up. Here are some cute alternatives to big winter coats. I am in love with the last one! What is the brand of it? Especially loving the first one! That blue-ish one is just fantastic. It looks so pimp! I love the first and last choices - it is all about color and shape! love them! especially the last one! is nice to keep warm in a fashionable way! 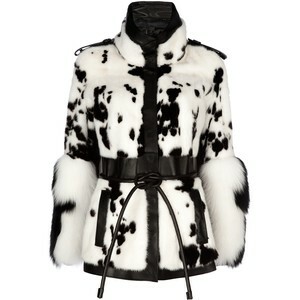 Great selection of jackets on your lovely blog! Although the second and third are not really the style I usually go for, I adore the fourth and fifth - not to mention the beautiful, luxurious feeling of the first one! Agreeing with Fashionable Rose, a nice way to keep warm fashionably! loving your blog and style girl! Definitely following on bloglovin and GFC :) hope you can follow back too! I love the first jacket! Is very Beautiful! i know what you mean about giving up on the coats after a while, but that last one is super hot! 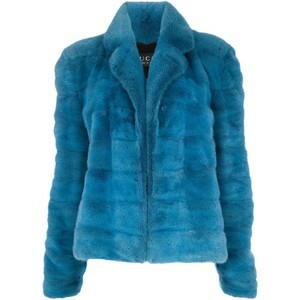 The blue fur jacket and the black leather jacket are my favorites. Great coats! would love to get that gucci jacket!